Guess where I have learn about the international coffee day, the first page of the star newspaper published on September 29, 2015 does a great job informing me this jaw-breaking information. Always wonder what kind of surprising news every time I try to buy a newspaper. I guess that overwhelm feeling of wanted to know what is going on around. 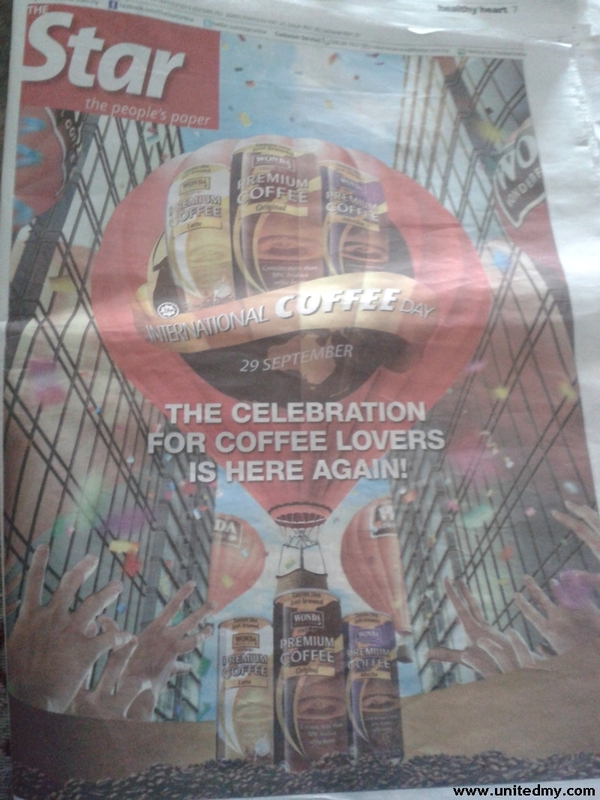 If I have not bought today newspaper, I would not have learnt today's International Coffee Day. Awesome discovery just make anyone day better. Admitting that there are not all newspaper pages I like to read but, it is enough if there are one page that worthy to read and this is it. I spent about 20 minutes getting to know all these perks and decided to work it out. It smell adventure ! 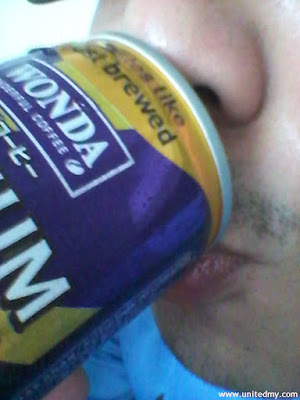 I have known Wonda coffee and tasted it. I did not boast it, You can check it out, blogged somewhere here is the link Wonda wonderful Coffee. At that time, I was really curious the taste of Arabika Coffee. You and I would not believe it that Wonda Coffee advertisements on the star newspaper took three whole pages. The thing is that The star newspaper is smart enough to hide the third pages containing all the perk information. The first and second pages are all about wishing "International Coffee Day" and nothing else. It did not actually indicating there are huge freebies. Only the people who flip to the 13 pages get to know it. Yeah !, the 3rd hidden pages of Wonda Coffee advertisement shown at 13 page. One has to read about all these promotions from RHB, Celcom. 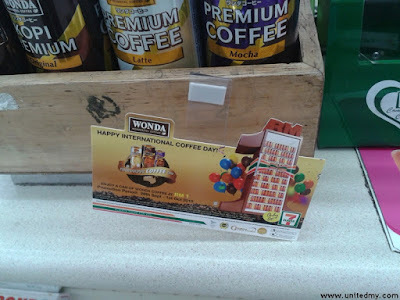 I would consider it as a freebies if most of the 7-Eleven stores in Malaysia offering Wonda Coffee as low as RM1.00. I do not want to expose most of the perks because I am not that cheerful to share. But I try to compel it together, there are free TGV cinemas movie ticket, Tesco Buy 1 Free 1, Myteksi free wonda coffee treat (request via myteksi app), Mesra RM50,000 worth of fuel to be won, Domino's Pizza RM10 with any purchase of two cans of wonda coffee, RM1 buying from 7-Eleven. The promotion is going smoothly, That was a relieve indeed as if that would spoil my day if the promotion was not going so well. That me sip some premium coffee !